← E3 Gives Us A Look At Studio MDHR’s Resplendent Retro Video Game “Cuphead”… And Now We Can’t WAIT Until 2015! It’s only a matter of time before Oklahoma City Thunder star, Kevin Durant, gets to hoist up an NBA Championship banner. Kevin has proven himself to be one of the best players in the game of basketball since his high school years, through college and all the way up to his professional career. Poster Posse member Robert Bruno has created some sensational sports art (See his BEHANCE portfolio HERE) and this time he has set his sites on the young basketball phenom and the end result is quite incredible. Here is what Robert had to say about Kevin over on his BEHANCE PAGE. As a longtime Basketball fan, It’s hard not to like a guy like Kevin Durant. An incredible player on the court and a stand up guy in his community. Durant recently received honors of winning the MVP award for the 2014 season and his acceptance speech were some of the most inspirational words I’ve ever heard. 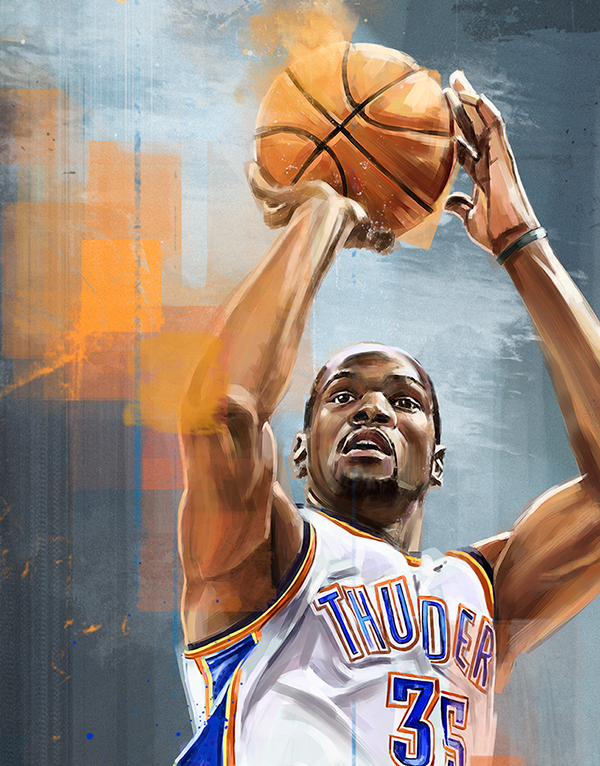 I hope you enjoy this tribute illustration of Oklahoma City Thunder all star and 2014 MVP, Kevin Durant. If you haven’t watched Kevin’s emotional acceptance speech, give it a watch below. If gives you some good insight to the person Kevin Durant is. Follow Robert Bruno on TWITTER and check out his official WEBSITE to see more from this gifted artist. 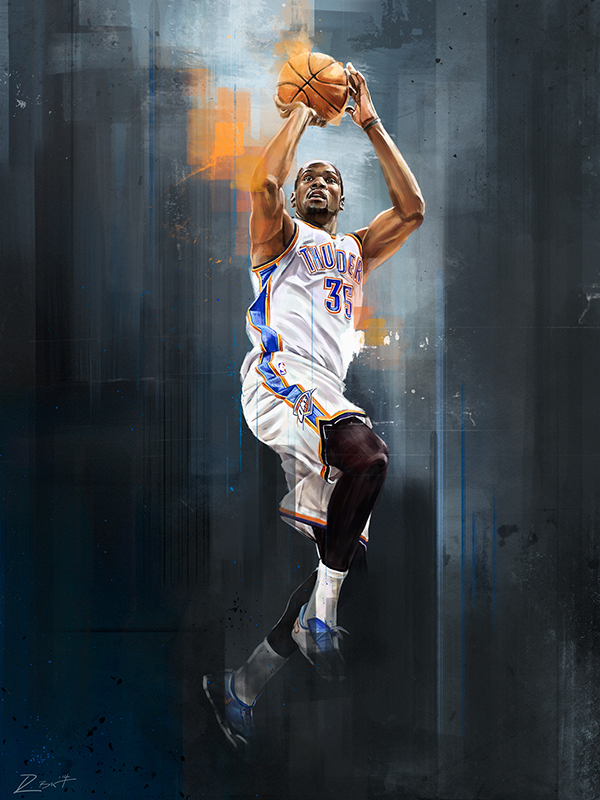 This entry was posted in Art, Sports, Video and tagged basketball phenom, Kevin Durant, Kevin Durant MVP Speech, MVP Speech, Oklahoma City Thunder, Robert Bruno. Bookmark the permalink.